Some of you may have seen Alfie Deyes from Pointless Blogs recent video. He pledged to do 25 things this summer, take pictures and write about them in a little notebook. Im a really sentimental, borderline cheesy person, so thought this was the best idea I'd heard for a while and was definitely in on it. With that said I went out, bought myself a pretty little notebook and spent all of last week coming up with the 25 things I'm going to do this summer. So heres the plan. 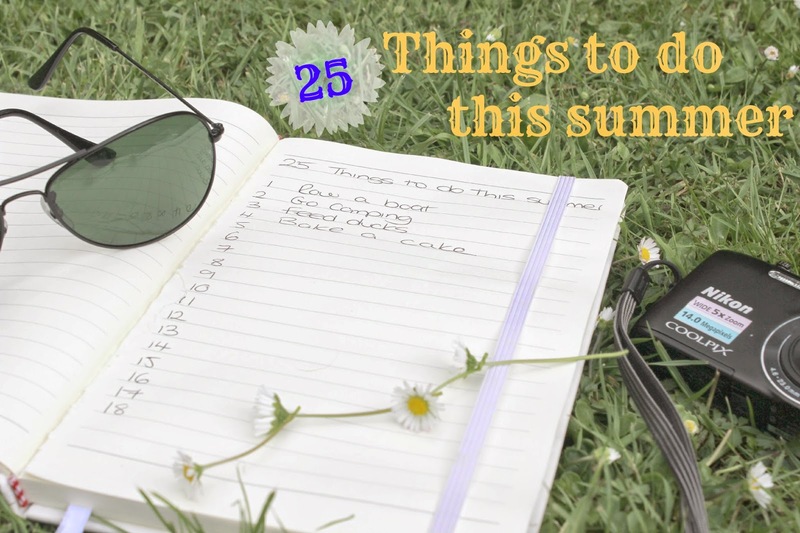 I'm going to list below the 25 things I'm going to aim to do over summer. For each one I'm going to take a picture and write about it in my little notebook and at the end of the summer ill have a little book filled with all my memories of summer 2014 that I can treasure forever :) awww. Along with that I'll be sharing them on here for you all to see what I got up to. I thought it would be a great idea for us to all do this together. Whether you want to just make a pledge to try and do 25 things that get you outside and doing something different, or like me you want to write post about each thing you checked of your list. Maybe you just want to read them, either way we can all keep track together using the hashtag thats floating around - #25thingstodothissummer and it will be lovely to read about all the great things we've got up to, don't you think? It would be great if we could get a little group of us together and I'd love to here what you want to do this summer. I thought it would be nice fore those wanting to take part to tag 5 people they'd like to see join in.